Riskalyze is the world’s first risk alignment platform created to maximize a client’s portfolio by tailoring it to their risk tolerance . Designed to communicate client risk tolerance with a financial advisor, Riskalyze strives to end financial miscommunication and increase client relationships by harvesting the power of compatibility and mutuality. It is also a great tool to use on your financial planning firm’s website (read on to see why). Riskalyze allows a financial advisor to fully grasp both a client’s risk aversion and tolerance. Likewise, clients receive a portfolio tailored to their risk level. This results in both parties gaining a greater understanding of each other and the market. Past methods for determining client risk included stereotyping- resulting in inaccurate client profiles. These methods proved ineffective to many because every client is unique. With the Riskalyze tool, every client is assigned their own unique risk number (which explicitly shows their specific tolerance for risk). The overarching goal of Riskalyze is to show potential clients that they are invested wrong while proving existing clients are invested right. But how does this happen? First, a number must be derived. By using a risk questionnaire or a discussion set intended to set personal risk, a number is established. CRM, financial planning, custodial platform, data aggregation, and portfolio management data are also able to be imported. Compatible with over a quarter million investment choices including EFTs, mutual funds, stocks, SMAs, and Vas, Riskalyze is a powerful multifunctional tool. There are many reasons to love Riskalyze. Educating clients is number one. 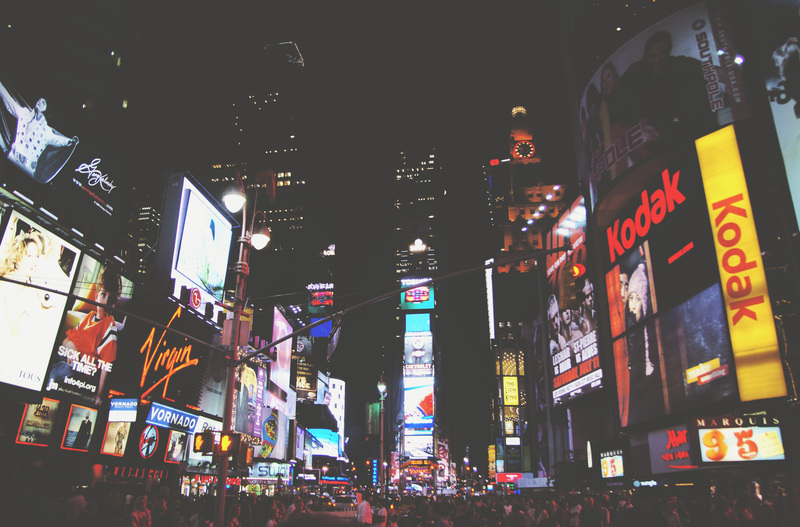 The average human is two and a half times more concerned about potential losses as opposed to potential gains. The average human is two and a half times more concerned about potential losses as opposed to potential gains. This means when a client sees a dip in his or her portfolio, they interpret the drop as an immediate loss. However, all financial advisors know that most drops in a stock are (in the long run) insignificant, and should not result in an immediate withdraw. Riskalyze empowers and educates clients by teaching them that any gain from an investment within six months is, in fact, a positive. 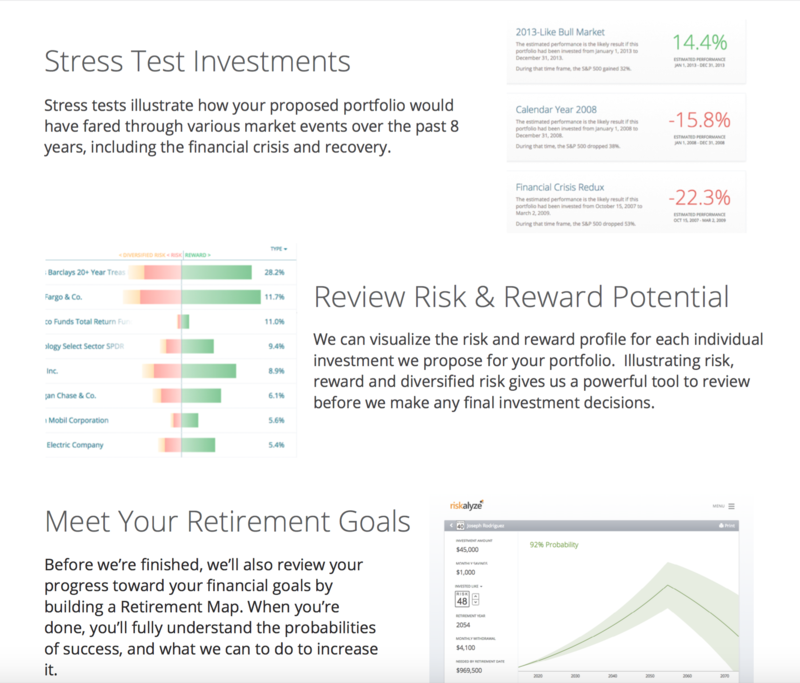 Riskalyze empowers a client to stick with their investments even if the market is volatile. This is made possible because of the true and honest projected report made available to clients. The report states where an investment should be, and the long-term path it is projected to take. According to Linkedin’s study called 10 Reasons Why Customers Complain, the number one reason customers were dissatisfied with a business is because a company was not consistent with their promises. It is important to ensure a client’s goals are realistic within themselves. For example, it is easy to check if a risk number is compatible with your client’s retirement goals. If it is not aligned, it is easy to explain why by setting realistic expectations. Being proactive in aligning goals is essential in providing realistic expectations, trust, and future business. Aside from a client’s risk number, Riskalyze also works for you- the advisor! Advisors who use Riskalyze may win clients more quickly and convert website traffic into lead generation (It also helps you schedule meetings and events). 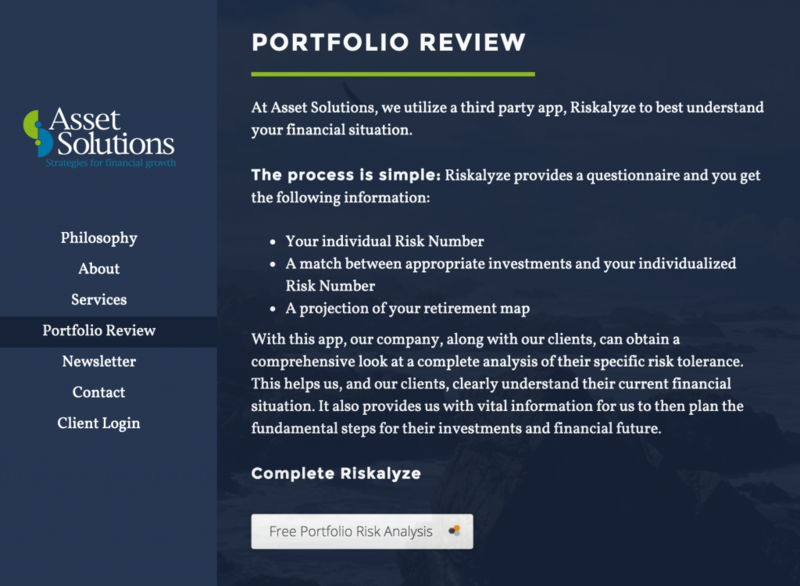 At Twenty Over Ten, clients can easily embed the Riskalyze app into their website. For example, Craig Thompson of Asset Solutions recently launched a website with a whole page dedicated to helping potential clients understand their tolerance for risk versus how they are currently invested. 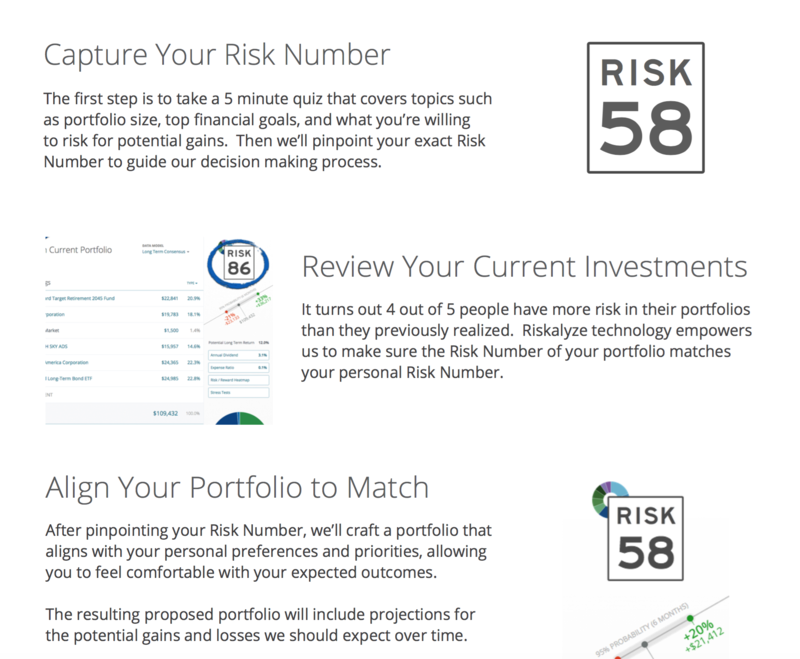 After clicking on the “Free Portfolio Risk Analysis” button, prospects complete a simple set of questions and are then given an auto-generated risk number with some context to help them understand what it means for their portfolio. After a user clicks on the “Free Portfolio Risk Analysis” button, they answer a series of simple questions and are then given an auto-generated risk number. As the advisor, Craig also receives an email letting him know that someone has completed the risk assessment on his site, and is provided with the prospect’s name, email and other information that was submitted. We are very impressed with the Riskalyze app and our clients are too. Contact Riskalyze to learn more about this great tool, or contact us to learn how we can build Riskalyze and other great tools into your firm’s website.